that for so many people becomes a real “game changer” when it comes to styling hair at home. and are still developing year by year. and hopefully dispel some of the myths too. Firstly, BKT is not a straightening service! Rather, it is what we refer to as a “Smoothing Treatment”. You can expect a major reduction in your hair’s frizziness and fluffiness and in many cases it will deliver a slightly straighter result but it can not be relied upon to achieve straight hair as would be the case when having a straight perm or Japanese straightening for example. Who should have a BKT? 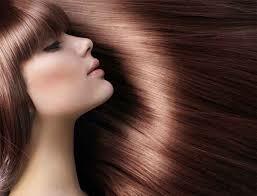 BKT is best suited to someone who regularly blowdries their hair straight as a support service. ability of your hair to hold and maintain the blowdried finish enhanced dramatically. and that it would air dry smoothly by itself, this is very important to understand and consider. Does BKT damage the hair? from time to time people feel their hair is less soft which is a characterization of any “protein” based treatment. Keratin protein not only protects and strengthens hair but hardens it also. provides a protective barrier against further damage as well as an insulation layer against humidity. How long does BKT last? If your shampoo contains Sodium Chloride we can not guarantee the treatment. sometimes beyond six months but 3 months is considered average. Will BKT effect my colour? please ask your stylist what might be the specific after-effect for your particular hair. How much is a BKT service? long hair and/or very thick hair where excessive BKT solution was needed to get the result. As I mentioned earlier, BKT has undergone many formulation changes and refinements. Gold’s BKT formula is FDA approved. Early BKT formulas contained very high levels of some dangerous chemical compounds particularly Formaldehyde. but still seem to be available in much of South East Asia, India and the Middle East. These high Formaldehyde formulas give a much more effective result, not only in relation to smoothing but also straightening too. Some results I have seen on hair done in these countries have more of an appearance of chemically straightened hair as opposed to BKT in as much the hair treated never returns to it’s natural wavy state and also often feels chemically damaged. If you have had a BKT in another country, you must understand that the results achievable from our BKT are limited to the formulas we are allowed to use by law, Unfortunately if you have had BKT in any of those regions mentioned you may find our BKT less effective than you expect. Any further question about the above or anything else please feel free to ask your stylist.